Over the first weekend of November, two of our staff members Adam Rakestraw (researcher and placemaker) and Elizabeth Nash (community outreach and development) had the pleasure of attending the 2018 Congress for New Urbanism Midwest‘s (CNU) Place Summit. This is a recap of their presentation, reflections, and key take-aways from the conference. Championing urban development that is enduring, adaptable, and human scaled. The event invited regional urbanist thinkers, designers, planners, and placemakers to discuss topics facing the midwest. Each speaker was given 7-10 minutes to discuss new urbanist trends, ideas, and inspirations on how to address the current issues. After sequence of three presentations, breakout sessions were held in which small groups formed to further discuss topics and investigate points of intersection between the present ideas and new ones. Some of the small breakout group topics include: City Soundscapes, Legacy Cities, engaging with Climate Change deniers, CNU networking, trees as infrastructure, addressing homelessness, and designing for art, placemaking. The small group discussions presented a format that was more intimate and tired to push ideas into the realm of exploration, and for us, inspiration. 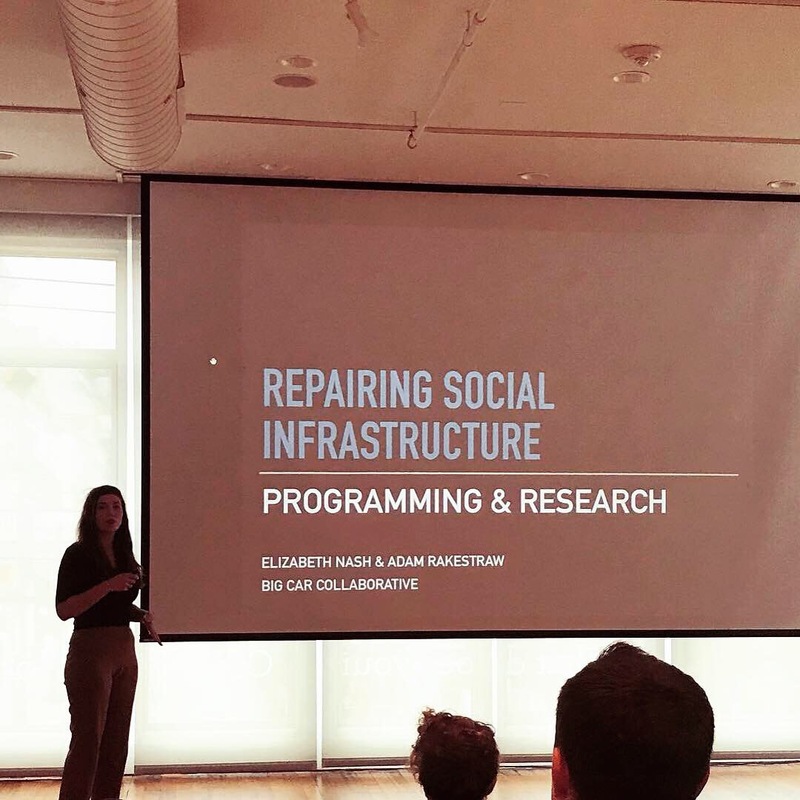 Adam and Elizabeth co-produced and presented on Repairing Social Infrastructure: Programming and Research. The presentation unpacked Big Car’s organization, projects, programming, and research to make a case for placemaking initiatives in our region. Their thesis is that the decline in social infrastructure (sociability) leads to feelings of loneliness, isolation, and should be treated as a public health concern. Their lecture augured placemaking and the Arts can act as a catalyst to spark conversation around the decline of social bonds and social infrastructure. Which is placed under the urban redevelopment debate; What if All Community Development Started with Local Arts and Culture?. 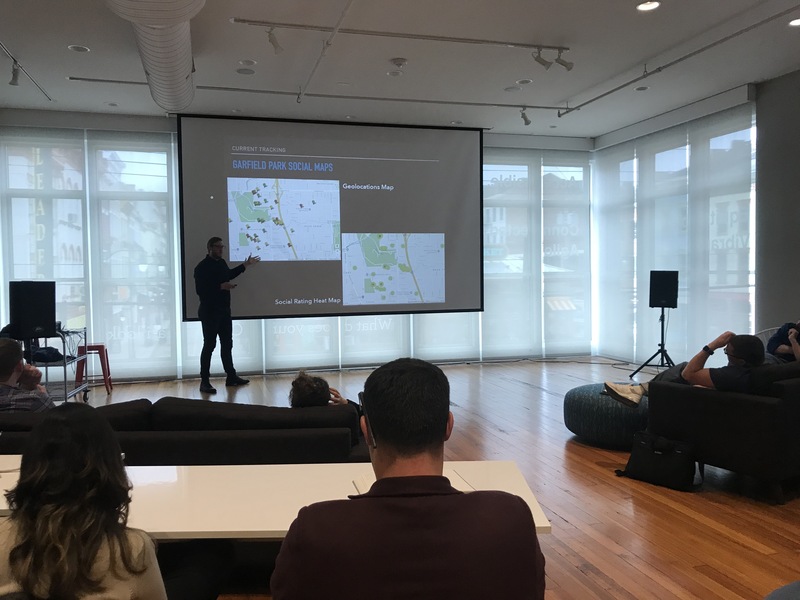 Broadly speaking, their presentation was to open discussions around the intersection of urbanism, the Arts and placemaking, and social issues. As well as, to bring an outside Arts-focused perspective in framing issues within urbanism and problem-solving. Fundamentally, they and Big Car argue if we what stronger communities; there needs to be a bridge to the Arts. The lexicon in New Urbanism needs a be reaching a boarder, simpler rhetoric in the public and local sphere. Key topic to address for New Urbanism is how to address the decline of manufacturing to 21st-century production in emerging economies in automation, the service economy, and the gig economy. Climate change will bring about mass migration, especially from the south to safe haven cities in the Midwest within the next 100 years. The Midwest has the physical Infrastructures to support larger communities. Mostly in the form of abandon and vacant post-industrial building from the start white flight (1960’s) to the decline in manufacturing (1980s – 2000s), and the recent economic recession (2008). 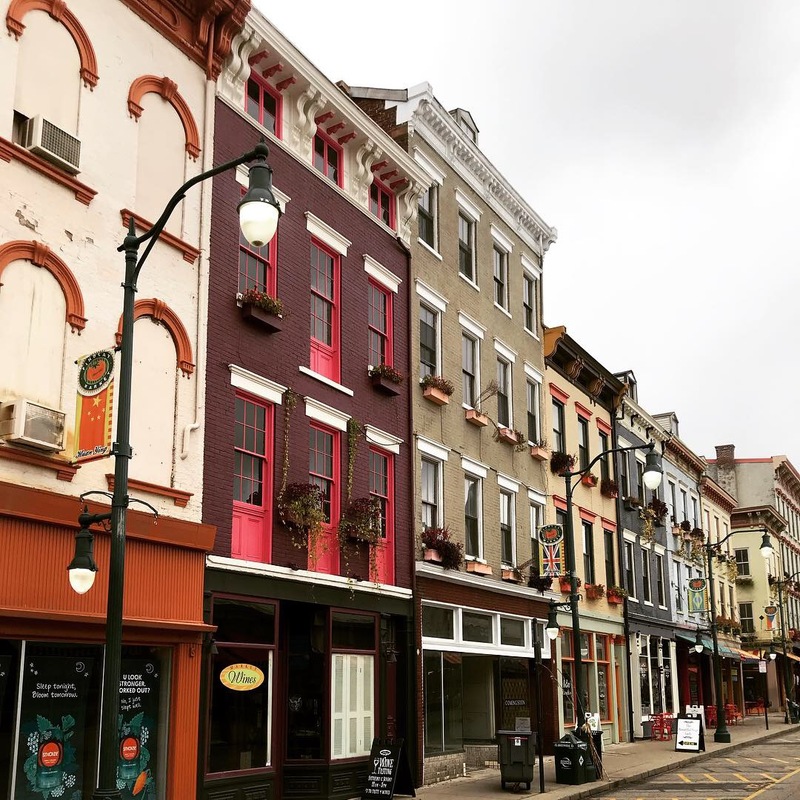 Can CNU strengthen its existing networks by not reinventing organizations across the midwest, but rather operate under already existing organizations that are indirectly involved in New Urbanism. 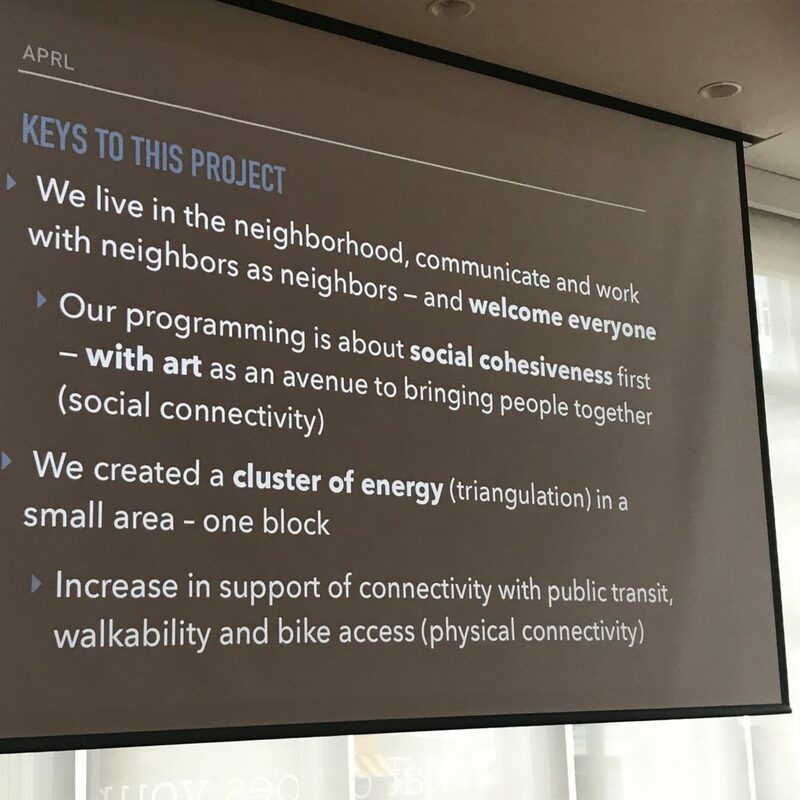 Arts, design, and New Urbanism go hand-in-hand with the arts and culture focused on the social space of communities networks and bonds; and design focused on the physical space — hard infrastructure, amenities, planning. More metropolitan departments and urban planners should be hiring socially-engaged artist and placemakers into their practice. Adam and Elizabeth were very pleased to present on Big Car’s work. In their own words, “[we] thoroughly enjoyed the weekend and the company with CNU. More so, we very much enjoyed the conversations and the depth of them, as those dialogues Big Car always wanted to participate in and recognizes the importance of such”. Big Car Collaborative is very humble to have been invited to CNU Midwest 2018 Place Summit. We look forward to future involvements with CNU Midwest and keeping to New Urbanist ideas! Would you like Big Car to visit and share with your organization?